Most of the artists taking part in Thirty Paintings in 30 Days are ‘Fine Artists’. Their work is phenomenal. I am amazed at the beauty that they create every day. I am not at that stage in my painting. I may never get there, but I’m having fun playing with paint. So much fun, that today’s painting almost feels like cheating, if that’s even possible. I assure you that there was a lot of painting, a few layers worth. 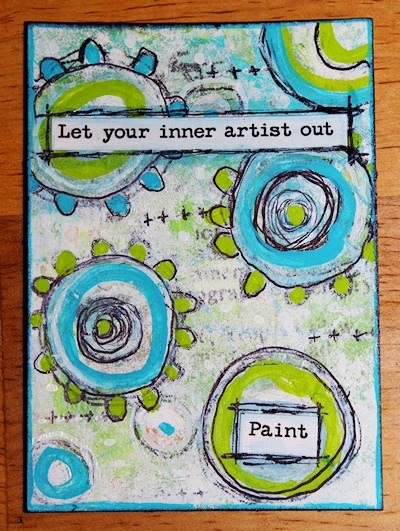 ATC/ACEO size acrylic and black ink. 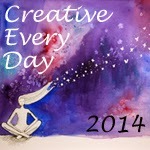 Posted in Creative Every Day, mixed media, Thirty Paintings in 30 Days and tagged acrylic paint, painting.